In its two official calls, the Martí i Franqués COFUND Fellowship Programme (MFP-COFUND) has received more than 1,400 applications from candidates around the world. In the end, candidates from 27 different nationalities have filled 47 positions from the 50 that were offered. The incorporation of the selected PhD students began in October 2017 and it will conclude soon. The MFP-COFUND project began in February 2017 and it will continue until 31 January 2022. Within this period, each PhD student will be working at the university for 36 months. 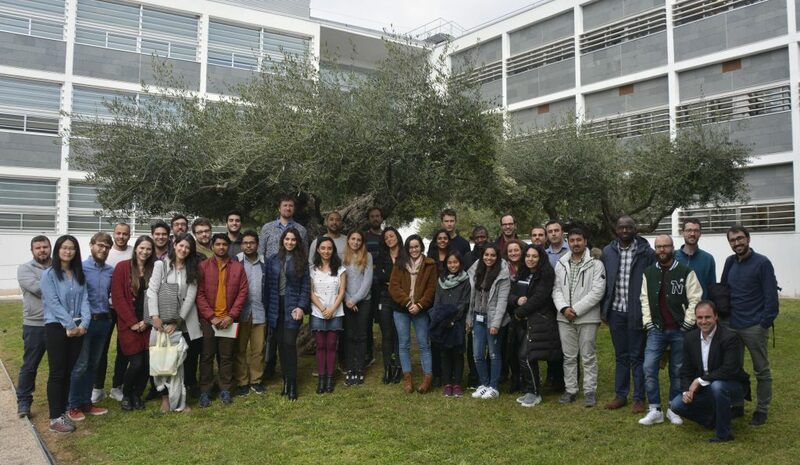 All of them work to achieve a doctorate degree awarded with the distinction of international doctor and, therefore, they will make a stay of at least three months outside Spain, at a university or a prestigious research center. Some of the PhD students have already completed their international stays at centers such as the University of Strathclyde in the United Kingdom, the Freie Universität in Berlin or the Technical University of Denmark. In addition, the MFP-COFUND fellows will have the possibility to make additional professional secondments in one of the more than 30 companies and institutions that support the project. Other additional values of this programme is that it offers PhD students specialized training in their field of knowledge, and a wide range of training in transversal skills, with courses such as scientific dissemination, communication skills, gender perspective in research, entrepreneurial skills, or job search in the academia and the industry. In addition, it should be emphasised that the URV is among the institutions that offer some of the best salaries at the predoctoral level in Europe. The MFP-COFUND involves 80 researchers from the University, who direct or co-direct their theses. At an institutional level, in this programme are involved the vice-rectorates for Personnel, for Research and Scientific Planning, for Innovation and Knowledge Transfer, the Human Resources Unit and Research and Doctorate Unit. In addition, the programme has the financial support of Fundació Catalunya-La Pedrera, IRTA and Banco Santander, which co-finance six of the positions.